My nephew and nieces with Riot and Ricki. Kody, Kaviak's Kodiak Son of Denali, hanging out in the sun. 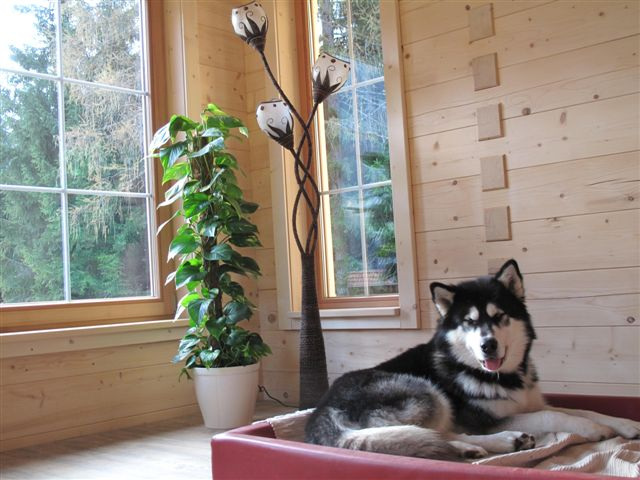 Malamutes aren't for everybody--they present their own special set of challenges. Read this article to learn about how dogs respond to behaviors they find "rude."